The Judaica Sound Archives (JSA) at Florida Atlantic University Libraries on FAU's Boca Raton campus is hosting Paul Green for a lecture and demonstration titled "The Development of Jewish Art Music," on Wednesday, April 1, at 3:30 p.m., at the Wimberly Library, fifth floor east. Green teaches clarinet and chamber music at Florida Atlantic and Florida International universities, and is principal clarinetist of the Florida Grand Opera, the Concert Association of Florida and the Boca Raton Symphonia. He studied with the noted clarinetist Leon Russianoff and performed Saint-Saens' "Carnival of the Animals" in a Young People's Concert with the New York Philharmonic under the direction of Leonard Bernstein. Green received a Bachelor of Art degree in music theory and composition from Yale University and a Master of Science degree in performance from The Juilliard School in 1972. The JSA has been collecting, preserving and digitizing Judaica sound recordings since 2002. For more information, visit www.fau.edu/jsa. 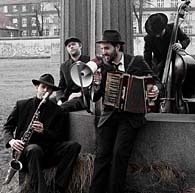 Direct from Berlin, Daniel Kahn & The Painted Bird's second CD Partisans & Parasites is an explosive mix of klezmer, radical Yiddish song, political cabaret and punk folk. recent press about Daniel Kahn & The Painted Bird. An evening of devotional music of the Middle East featuring songs of the Sufi mystical Islamic orders of Turkey, Jewish prayers from Morocco, Andalusia Yemen and Israel and Christian chants of Armenia. 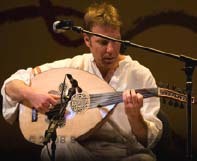 Oscar winning composer and world-music record producer Yuval Ron imparts the ancient and deep intercultural connection between these three traditions and the musical influences they share. Naked Soul at the Rubin Museum of Art in NYC continues on April 3 with Susan McKeown & Lorin Sklamberg, lead singer of the Klezmatics debuting their new show Saints & Tzadiks: Songs from the Yiddish and Irish Traditions. Naked Soul is one of the most unique concert series in NYC as it's all acoustic and unplugged—no mics or amps (naked). The intimate theater only seats 137 and has perfect acoustics. The Rubin Museum is the only museum in North America whose collection is dedicated to artwork of the Himalayas (soul). Slides of any pieces of art that speaks to the artist's music are shown behind the artist during the appropriate songs at the performance. After the show, the audience is given a free tour of the museum. Time Out NY calls Naked Soul an "innovative" and "cool" series. Tickets available by calling the museum M-F 11am-5pm at 212-620-5000 ext 344. Saturday, April 4, 2009 at 7 p.m.
18 Jacobs Road, Heath, Mass. Presented by Heath Elementary Parent Teacher Partnership together with the Heath Strings Program. Our Clarinetist and Fiddler, David Tasgal, teaches stringed instruments at the Heath Elementary School. The school community is sponsoring this event to support the continuation of David's work in the Heath Strings Program. Brooklyn-based violinist Jake Shulman-Ment is among the leaders of a new generation of Klezmer and Eastern European folk music performers. In his brand new project, he leads an all-star band presenting ecstatic, soulful original compositions and improvisations as well as old Jewish and Gypsy songs and melodies, inspired by his extensive travels in Romania and Hungary, always maintaining his deep roots in Jewish music. This concert is a special fundraising event which will benefit the current recording of his debut album, a project which integrates years of travel, research, and varied musical inspiration. Easily accessible from NYC by Metro-North to Hastings station, or by car. Advance copies of the CD will also be available for only $15! Light snacks will be provided, cash bar will be open. Be sure to include a return address, and you will receive a CD in the mail as soon as they are finished! On Sunday, April 5th at 4PM Temple Beth Israel of Waltham will sponsor a concert featuring nigunim, klezmer tunes, cantorials, and Yiddish folk songs from the repertoire of Morris Hollender, the temple’s long-time baal t’file (lay cantor) and baal korey (Torah reader). The concert, organized by local musician, ethnomusicologist, and Temple member Hankus Netsky, will feature prominent local singers and the twenty-piece New England Conservatory Jewish Music Ensemble. Originally from Carpato-Ruthenia, Morris Hollender’s father, uncle, and brothers were all renowned for their singing and their knowledge of nigunim (melodies) from local and legendary Hassidic rabbis and traditional cantors. A survivor of Auschwitz and a former resident of postwar Czechoslovakia, Mr. Hollender emigrated to America with his wife, Edith (also a survivor) in 1968. The April 5th concert is the result of Hankus Netsky’s ongoing work with the Mr. Hollender through the National Yiddish Book Center’s “Discovery Project,” an activist Jewish cultural recovery project that he directs. “It is extraordinary to have the opportunity to bring this precious Jewish musical legacy back to life, and to be able to pass these treasures on our students and to the general public,” says Netsky. Temple Beth Israel is located at 25 Harvard St.
in Waltham, one block from Main St. on the 70 bus line. Tickets are $10 (a special $5 rate is available for Beth Israel members). The synagogue is fully handicapped accessible. For more information call 781 894 5146, or contact the temple at www.tbiwaltham.org. Group discounts are also available. No place in Greater Cleveland can match the spectacular ambiance of Nighttown. Since 1965, Nighttown has been known for its unique atmosphere, cool vibe, great food, fabulous music, intimacy and warmth. Treat your guests to an exceptional dining experience among the priceless art, leaded and Tiffany glass that enhance Nighttown. You can choose from our three bars and three distinctly different rooms to host your party in, including our fabulous year-round, glass enclosed, heated patio featuring a dramatic full-wall waterfall. And with music every night, Nighttown is the only club in Ohio on Down Beat's list of The 100 Best Jazz Clubs in the World (so when we say we have world-class jazz, we really mean it). From the East: From I-271, take Cedar Road 6.5 miles West. Nighttown is in Cleveland Heights, not too far past Fairmount Blvd., on the right-hand side of the street, just before you get to Cedar Hill. From the West Side and South: Take I-71 or I-77 to I- 90, exit on Carnegie and turn right off the exit, taking Carnegie East approximately 6 miles. Just past The Cleveland Clinic and as you're passing E. 105th Street and Stokes Blvd., Carnegie begins to curve just a bit and and you'll begin to travel up Cedar Hill. At the top of the hill, bear right and Nighttown is the first business on the left, directly across from Bank One. Nighttown is surrounded by parking (including a large city-owned parking lot in the rear). We also have valet parking on most evenings. The Steven Greenman Klezmer Ensemble is a dynamic virtuoso group of internationally renowned musicians who perform the traditional Jewish folk music of Eastern Europe (klezmer) and the shared repertoire of Jews, Roma (Gypsies), Romanians and Moldavians in 19th and 20th century Eastern Europe. The repertoire includes dazzling dance tunes, breath-taking showpieces and furious displays of virtuosity. The repertoire is complimented with several of Steven's own Jewish and East European compositions. 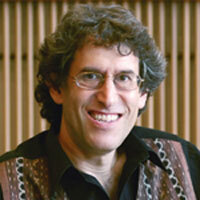 In its Spring 2009 concert, the now 15-member strong UVA Klezmer Ensemble under the direction of McIntire Department of Music’s Director of Music Performance, Joel Rubin will perform a new program of instrumental klezmer and hasidic music. The ensemble, made up of UVA undergrads and grad students, faculty and other members of the greater Charlottesville community, is dedicated to exploring klezmer and other Jewish musical traditions from the 18th century to the present. The concert will focus on repertoire from the hasidic and klezmer traditions of the mid-18th to early 20th century Eastern Europe, as well as on instrumental klezmer dance music from early 20th century New York and Philadelphia as well as mid-20th century New York. Just to let you know I'm [Burton Greene] back in NYC for just one concert tomorrow night on the Vision Series at The Local 269, 269 E. Houston at Suffolk. I play with my old buddy and colleague, clarinetist Perry Robinson from 7:30--9PM. We are doing the repertoire of our forthcoming CD on Tzadik Records: "Two Voices In the Desert". The entrance is $10. At 9 PM is a concert of Matt Lavelle's group featuring the legendary Guiseppi Logan on sax. Night Before Seder show! $10. autoproclamé "King of Klezmer Clarinet"; Naftule Brandwein. toute épreuve; l'essence du klezmer. les Nuits du Sud entre autres. Klezmer vers des horizons improbables et remplis d’une magie nouvelle. si vous ne désirez plus recevoir nos offres, merci de mettre désinscription dans l'objet. If you're up in the Boston area next week Perry and I do a workshop at Longy University, 1 Follen St. in Cambridge (free to the public) from 12:30PM to 2 PM on April 10, and a concert at Outpost 186, 186½ Hampshire St., also in Cambridge. Feygl Infeld-Glaser, from Lodz, will speak on the topic - "A Child Survivor in the Holocaust". A weekend festival of fiddle music representing a huge variety of styles and traditions. There will be sessions and impromptu performances, as well as workshops and concerts. Thursday 16th April 9 p.m.
University of Wisconsin-Madison. Free and open to the public. The action-packed event begins Saturday at 7:00pm in Morphy Hall (Humanities Building, 455 N. Park Street), with “ROOTS,” a concert celebrating the local and international continuity of old time Yiddish folk and popular culture. The performance features author and comedian Michael Wex and the KlezKamp Roadshow Orkester, a “Who’s Who” of the world’s great klezmer players: Aaron Alexander (drum), Daniel Blacksberg (trombone), Josh Horowitz (accordion), Susan Leviton (vocals), Sherry Mayrent (clarinet), Mark Rubin (tuba/string bass), Henry Sapoznik (tenor guitar, vocals), Cookie Segelstein (fiddle), Michael Winograd (clarinet). Local artists Yid Vicious and the Madison Yiddish Choir open the show. (Full schedule at www.arts.wisc.edu/artsinstitute/IAR/sapoznik/events.html#workshops. Space is limited; participants must register at www.conneyproject.wisc.edu/klezkamp-registration/ or by calling or (608) 265-4763). MADISON— University of Wisconsin-Madison Arts Institute Spring 2009 Interdisciplinary Artist in Residence Henry Sapoznik presents KlezKamp Road Show, a three-day version of Sapoznik’s renowned annual klezmer music and Yiddish folk art festival. A pioneering scholar and performer, Henry Sapoznik is credited with the late 20th century revival of klezmer. KlezKamp Road Show, scheduled for Saturday April 18 through Monday April 20, will take place on the University of Wisconsin-Madison campus and in the community at Madison’s Beth Israel Center and Temple Beth El. Hosted by the Mosse/Weinstein Center for Jewish Studies and the UW-Madison Arts Institute, KlezKamp features two concerts with locally and nationally recognized artists, including Grammy-nominated pianist and producer Ben Sidran and best-selling author of “Born to Kvetch,” Michael Wex; a Yiddish dance party accompanied by the acclaimed KlezKamp Roadshow Orkester; a screening of the silent film “His People” (1925) with live piano score by celebrated pianist Marilyn Lerner; and workshops and presentations on klezmer and Yiddish folk arts. Sunday and Monday provide intensive workshops and presentations dedicated to traditional Yiddish folk arts including music, crafts, visual arts, Yiddish language, folksongs, a listener’s guide to the Klezmer ensemble, old time dances and much more. Guest presenters include singer and artist Susan Leviton, internationally recognized Yiddish dance teacher Steve Weintraub, author Michael Wex, and visiting scholar and KlezKamp founder Henry Sapoznik. Sunday’s events continue at 6:00pm with a screening of silent film “His People” (directed by Eddie Sloman, 1925) at 4070 Vilas Hall (821 University Avenue). A new piano score by celebrated pianist Marilyn Lerner further enhances this illuminating and moving feature film of early 19th century Jewish life on New York’s Lower East Side. The evening tops off at 8:00pm with the KlezKamp Roadshow Dance Party, featuring Steve Weintraub and the KlezKamp Roadshow Orkester, at Beth Israel Center (1406 Mound Street). KlezKamp concludes at 7:00pm on Monday with a closing concert entitled “BRANCHES” at Morphy Hall (Humanities Building, 455 N. Park Street) with performances by pianists Ben Sidran and Marilyn Lerner. Drama! Intrigue! Scandal! Yiddish! Take a trip back to the Lower East Side and come see the only Yiddish theater show in Boston! 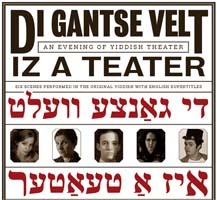 Di Gantse Velt iz a Teater is a evening of scenes from six famous Yiddish plays, performed in the original Yiddish with English supertitles. From melodramatic domestic dramas to slapstick physical comedy; from turn-of-the-century Jewish brothel romance to the coming of the Messiah, experience all that the Yiddish stage has to offer. Don't know Yiddish? Don't worry! ENGLISH SUBTITLES are provided throughout! Note: this is not my "concert music" but my pop-folk-art-jazz-singer-songwriter songs. There will be a lot of improvising and ad libs. Introducing "Nigunim"—a Festival of New Improvised Jewish Music that will feature a series of quality low cost performances. Saturday May 16th at 8pm – Pilpel : What is Israeli Music? Festival Location Westchester Reform Temple 255 Mamaroneck Road, Scarsdale, NY 10583. KlezFactor (America) will feature Mike Anklewicz and Jaro Dabrowski with some of the east-coast's top young jazz and klezmer musicians, including the Lovely and Talented Lilli Klotz of Philadelphia, the Lovely and Talented Carmen Staaf, currently based in New York, and the Lovely and Talented Matt Temkin, of Brooklyn. Sunday, April 19th, 2009, 2:00 P.M.
"DANCES & SONGS OF REMEMBRANCE, RESISTANCE, AND HOPE"
Featuring The Ruth Botchan Dance Company with singer Betty Albert-Schreck in excerpts from "Mothersongs," and klezmer artist/ethnographer Yale Strom and klezmer vocalist Elizabeth Schwartz of Hot Pstromi, celebrating the 66th Anniversary of the Warsaw Ghetto Uprising. Sunday, April 19th, 2009 at 5:00 p.m.
Tickets: $15-25 (sliding scale). Reception follows. Information/Reservations: (510) 848-4878. Limited seating; reservations strongly recommended. Milkboy Coffee in Ardmore, Pennsylvania (outside of Philly), located at 2 East Lancaster Ave., we'll be playing with another group, who will be announced shortly! Cover is $10 and we'll be playing around 7:30. Two Czech cellists, sister and brother Anna Brikciusova & Frantisek Brikcius will appear as part of the "Duo Brikcius - 2 Cellos Tour" project at the concert in Ankara, which is held at the State Art and Sculpture Museum in Ankara (Opera Meydan?-Ulus, Ankara, Turkey) on Monday April 20th 2009 at 8pm. Duo Brikcius will perform less know works of famous composers such as Luigi Boccherini (1743-1805), Wolfgang Amadeus Mozart (1756-1791), Gioacchino Rossini (1792-1863), Paul Hindemith (1895-1963), Gideon Klein (1919-1945) and Irena Kosikova (2008). In addition to Fantasie IV (2008) by the Czech composer and organist Irena Kosikova, this is featuring the premiere of Duo for Violin and Cello (1939 40) by Terezin composer Gideon Klein, as arranged for two cellos. "Duo Brikcius - 2 Cellos Tour" is prepared in the cooperation with the City of Prague, Czech and international festivals, concert halls, synagogues, town halls, Czech centres and KPH to be presented in Czech republic (Praha, Brno, Chotebor, Lidice, Tocnik, Velke Brezno, Veseli nad Moravou, Jicin, Telc, Boskovice, Praha - Seberov, Klatovy, Praha - Chodov, Praha - Vysocany, Praha - Slivenec, Radnice, Louny, Turnov, Frydlant, Praha - Petrovice, Polesovice, ...), and abroad (Bosnia and Herzegovina, Canada, Estonia, Germany, Sweden, Turkey, United Kingdom, USA) under the auspices of the Councillor of the City of Prague Milan Richter and the Italian Culture Institute. More details on websites www.Brikcius.com. Holocaust Memorial Event. 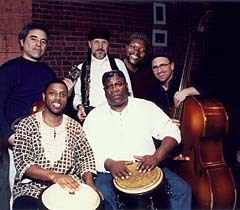 The Afro-Semitic Experience and Cantor Erik Contzius join the Southern Connecticut State University in Charles Garner Recital Hall on Tuesday, April 21 at 3:30 p.m. (the Charles Garner Recital is located in Engleman Hall, room 112-C, at Southern Connecticut State University in New Haven, Connecticut) in an event to commemorate the Holocaust. Cantor Contzius will be singing memorial music and songs from the Holocaust accompanied by the Afro-Semitic Experience. There will also be readings by SCSU Faculty members. This event is sponsored by the SCSU Judaic Studies Program in conjunction with other SCSU organizations and is part of a week long series of activities to mark the Holocaust. For more info on this event please visit the Southern Connecticut State University web site, www.southernct.edu. For a thousand years, the Jews of Europe poured out their deepest feelings and chronicled the events of their times through Yiddish folksong. In this program, we will explore how Jewish poets and musicians continued to tell their story through song, even as the almost incomprehensible events of the Holocaust period unfolded around them, A multi-instrumentalist, composer, and ethomusicologist and scholar, Hankus Netsky is chair of the Contemporary Improvisation Department at the New England Conservatory, Vice President for Education at the National Yiddish Book Center, and founder and director of the Klezmer Conservatory Band, an internationally renowned Yiddish music ensemble. He has composed extensively for film, theater, and television, and has collaborated extensively with such artists as Itzhak Perlman, Robin Williams, Joel Grey, and Theodore Bikel. 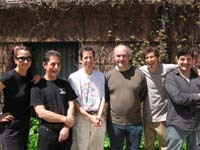 Hankus has produced numerous CDs on the Rounder and Vanguard labels and co-produced two CD's with Itzhak Perlman on EMI. Tuesday 21 and Wednesday 22 APRIL 2009 7:30 P.M.
Stockhausen: "In the sky I am walking..."
Tantshoyz (Yiddish Dance House)-Dance Party/Workshop at the Manhattan JCC with dance leader Zev Feldman and live klezmer music featuring Jake Shulman-Ment (violin) and Pete Rushefsky (tsimbl/hammered dulcimer). JCC in Manhattan, 334 Amsterdam @ 76th St. The Center for Traditional Music and Dance and the Jewish Community Center in Manhattan present a Tantshoyz (Dance House). Lace up your dancing shoes for an evening of traditional East European Jewish dancing led by master dance leader Deborah Strauss. Live music will be provided by some of New York's leading klezmer musicians, including Jeff Warschauer (guitar) and Jake Shulman-Ment (violin). Beginners welcome! Additionally a new international group, the Yiddish Dance Action Network has formed to help research and promote Yiddish Dance around the world. For more information contact Pete Rushefsky at 917-326-9659. Also... if you have old family videos with footage of Yiddish Dance we'd love to know about it! Support for the Yiddish Dance Project was provided to the Center for Traditional Music & Dance by the Forward Association, the Atran Foundation, the New York State Council on the Arts Folk Arts Program, a State agency, and public funds from the New York City Department of Cultural Affairs. "Di oystres fun Nukhem Stutshkov: Radioskriptn in der Nyu-Yorker shtot-bibliotek"
Ikh hof az ir kent bayzayn. The Adams Avenue Business Association proudly presents the 36th Annual Adams Avenue Roots & Folk Festival to be held Saturday and Sunday, April 25 & 26 2009. Over 40,000 visitors attended this FREE two-day festival last year. This is truly an event that provides both enjoyment and cultural enrichment for the whole family. and performance of local and nationally touring musical acts. Cajun, Rockabilly, Roots-blues, Bluegrass, Celtic, Roots Rock, Honky-tonk, etc. Ilana Cravitz heads up the incredible Hopkele House String Band (Pete Cooper, Kate Hands (fiddle), Matt Bacon, Aidan McGee (guitar), Francesca Ter-Berg (cello), Paul Tkachenko (bass). Doors open 7.15pm for first dance at 7.45pm. Partisans Armed With Music: Songs of Holocaust. Musician/singer/guitarist/storyteller Daniel Lev sings spiritual and military resistance songs of Jews and non-Jews, those who survived and those who didn't, partisans and their inspired children, in Yiddish, Polish, German, and English. English translations will be provided along with stories and a brief history of that time. Margot Leverett, clarinetist, will lead a Klezmer workshop. Please bring your instrument or, if you prefer, simply come to observe. Free and open to the public. Grant Recital Hall is newly renovated and accessible. To request special services, accommodations or assistance for this event, please contact Ashley Lundh [401.863.3234] as far in advance of the event as possible. Margot Leverett is one of the foremost of the new generation of klezmer clarinetists. 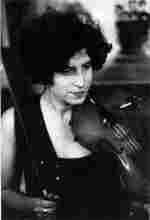 Classically trained at Indiana University School of Music, she was involved in avant-garde music when she first heard klezmer, the dynamic East European music traditionally played at Jewish weddings. Leverett was a founding member of the Klezmatics before starting her own band "Margot Leverett and the Klezmer Mountain Boys" in 2001. They have just released their second CD, "Second Avenue Square Dance", combining the best of bluegrass and klezmer. Margot Leverett has been a featured guest soloist with the Philadelphia Orchestra and her music has been choreographed by the Paul Taylor Dance Company. She has toured Japan twice with The New York Ragtime Orchestra and has been featured in several Off-Broadway productions. 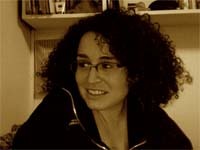 Margot Leverett was a staff instructor at KlezKamp for over 10 years and has also taught at KlezKanada, Klezkamp West, Klezmerquerque, and at colleges, music festivals, and Jewish organizations across the country. The Brown University Wind Symphony performs under the direction of Matthew McGarrell, conductor, and Aaron D. Jones '09, assistant conductor, featuring Margot Leverett, clarinetist. To request special services, accommodations or assistance for this event, please contact Ashley Lundh [401.863.3234] as far in advance of the event as possible. This is going to be a lovely and moving performance. We're happy to be sharing the stage with our friends from The Thinking Heart - and we're looking forward to getting back together after our annual winter hiatus. The evening will include a moving theater piece and some joyous klezmer music. We hope you can join us. woman, Etty Hillesum, who died in the Holocaust. The evening’s performances celebrate the release of a CD of The Thinking Heart, which has been recorded by Old Port Records, of Lewiston, ME. www.oldportrecords.com. The program will begin with The Thinking Heart, followed by a concert set with the Casco Bay Tummlers. Etty Hillesum, a Jewish woman who lived in Amsterdam during the Nazi occupation, wrote a luminous diary and over 70 letters, collected and published together in a book, Etty: The Letters and Diaries of Etty Hillesum. The journal and letters were written over two years, between 1941 and ‘43, ending with her transport to Auschwitz, where she died at 29. The Thinking Heart is an original arrangement of the diaries and letters, constellated as poems, written by Martin Steingesser, and presented by him and Judy Tierney with cellist Robin Jellis. The Casco Bay Tummlers have been performing klezmer music since 1988, their repertoire ranging from traditional klezmer dance tunes to soulful, sephardic songs and high energy Balkan music. Presenting a unique sound and stage performance, they have released three CD's and have been featured at festivals in the US and Europe. "Fun and frolic, but also pathos and yearning abound,” wrote the Greater Boston Flute Association. “This is emotionally charged music, played with abandon by musicians who are clearly comfortable with each other." Mid-Westchester JCC for the Polish Jewish Theatre Posters exhibit.